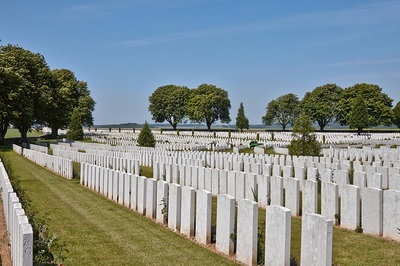 Cabaret Rouge British Cemetery lies just south of the town of Souchez and 11.4 km. 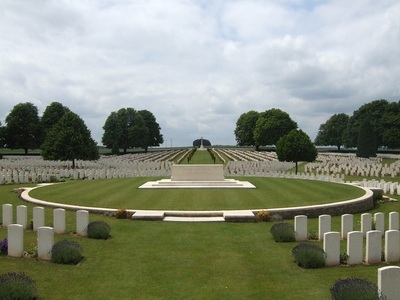 north of the centre of Arras. 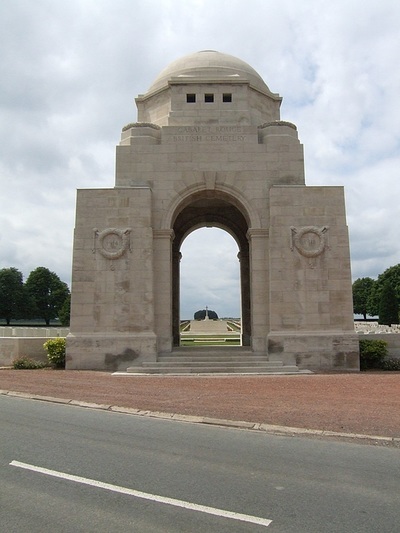 From the centre of Arras take rue Meaulens, D264 and Route de Bethune through Sainte Catherine. 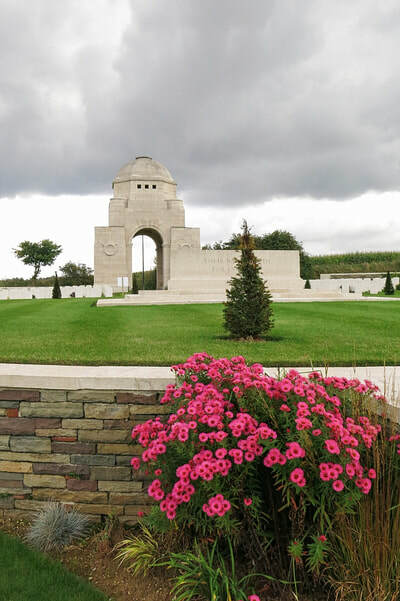 At the roundabout, take the third exit onto the D937 to Souchez. 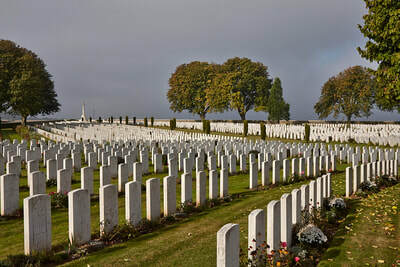 The cemetery is located 6.6 km. further on the left. 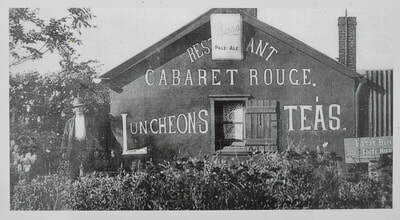 Caberet Rouge was a small, red-bricked, red-tiled café that stood close to this site in the early days of the First World War. The café was destroyed by shellfire in March 1915 but it gave its unusual name to this sector and to a communication trench that led troops up the front-line. Commonwealth soldiers began burying their fallen comrades here in March 1916. 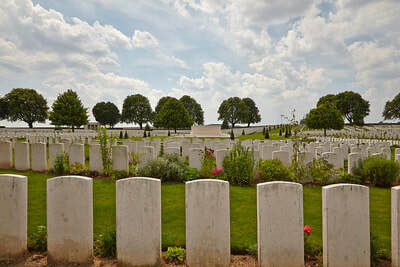 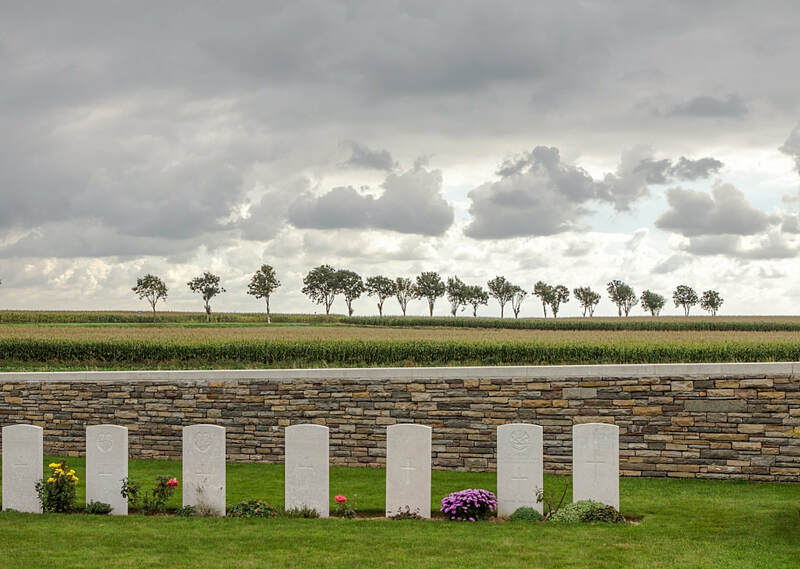 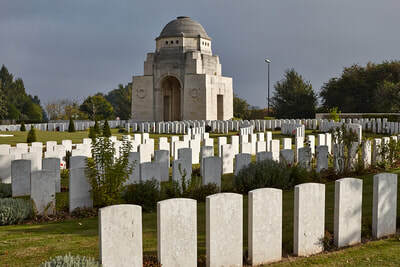 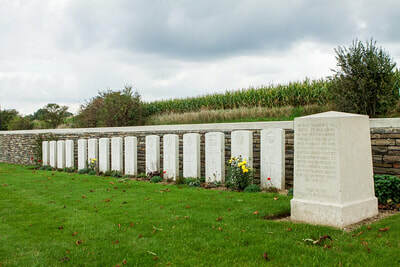 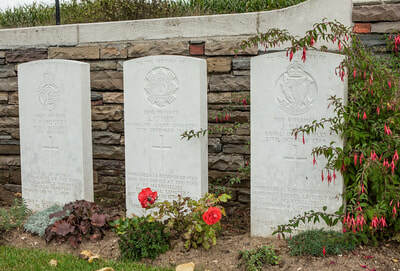 The cemetery was used mostly by the 47th (London) Division and the Canadian Corps until August 1917 and by different fighting units until September 1918. 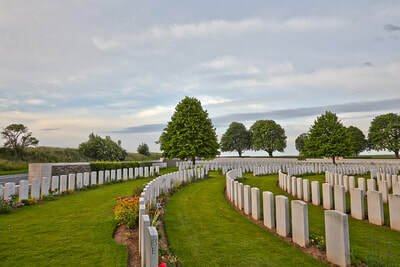 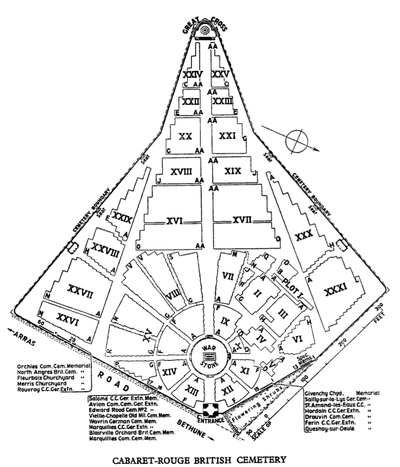 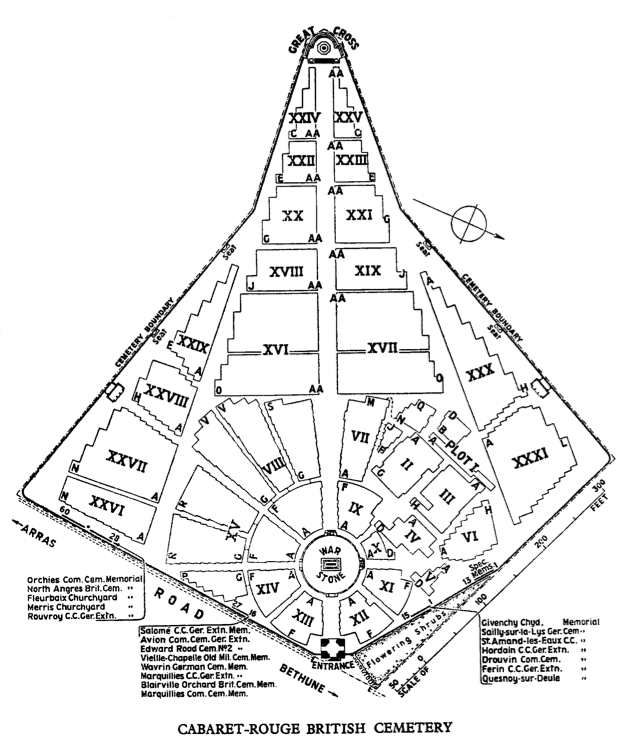 It was greatly enlarged in the years after the war when as many as 7,000 graves were concentrated here from over 100 other cemeteries in the area. 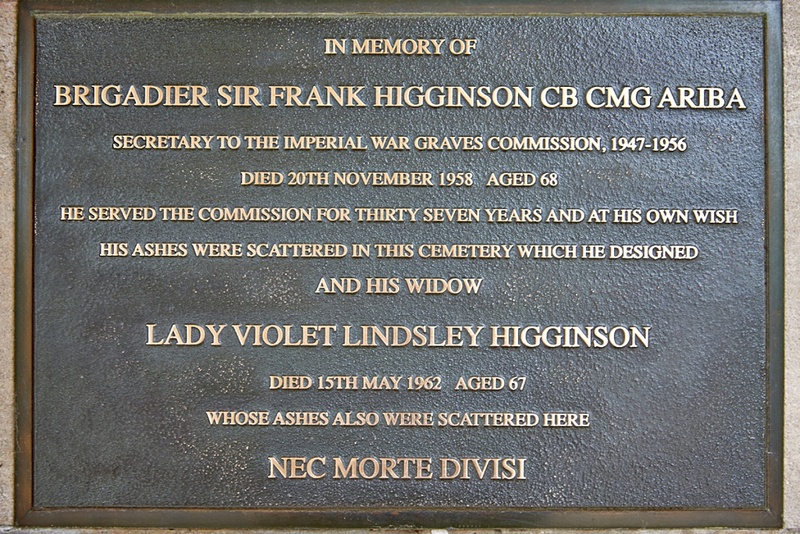 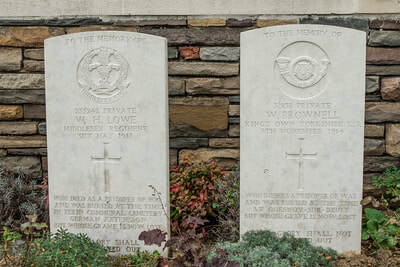 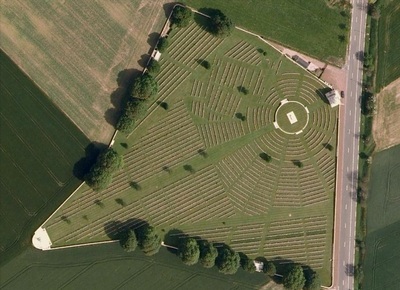 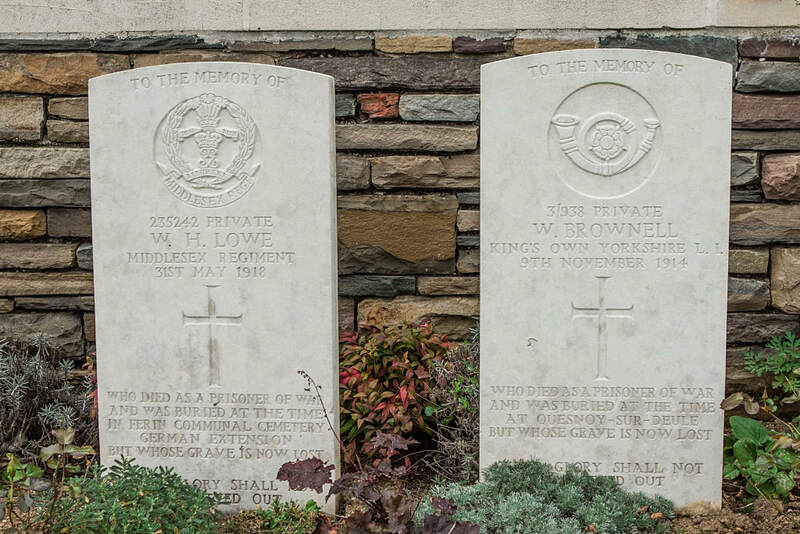 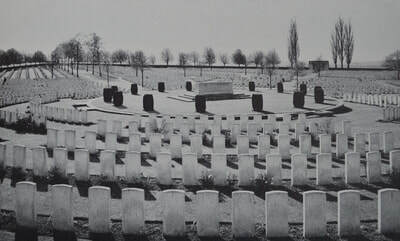 For much of the twentieth century, Cabaret Rouge served as one of a small number of ‘open cemeteries’ at which the remains of fallen servicemen newly discovered in the region were buried. 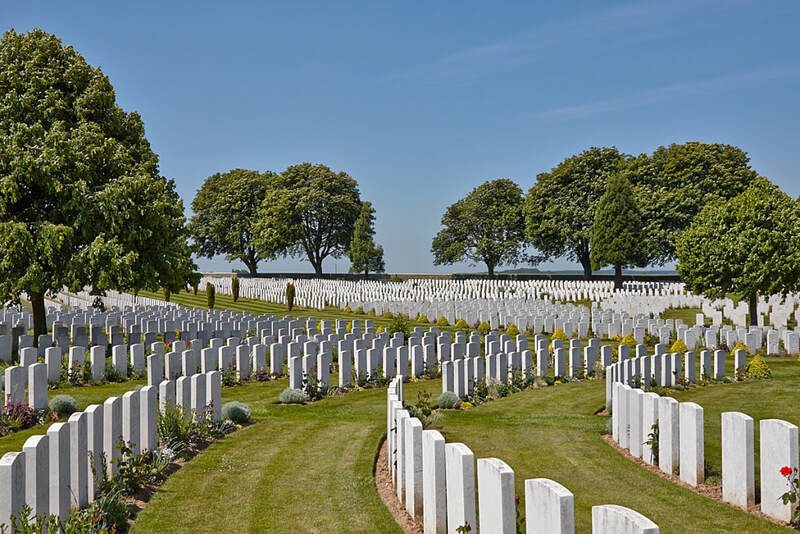 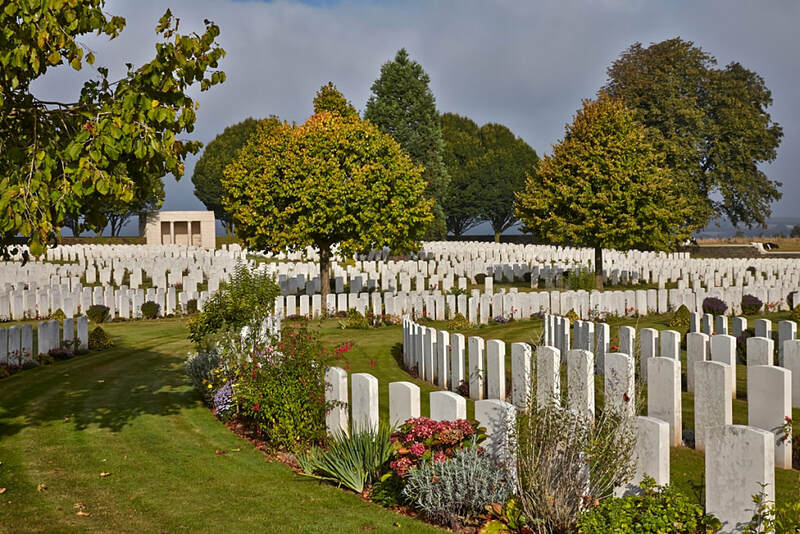 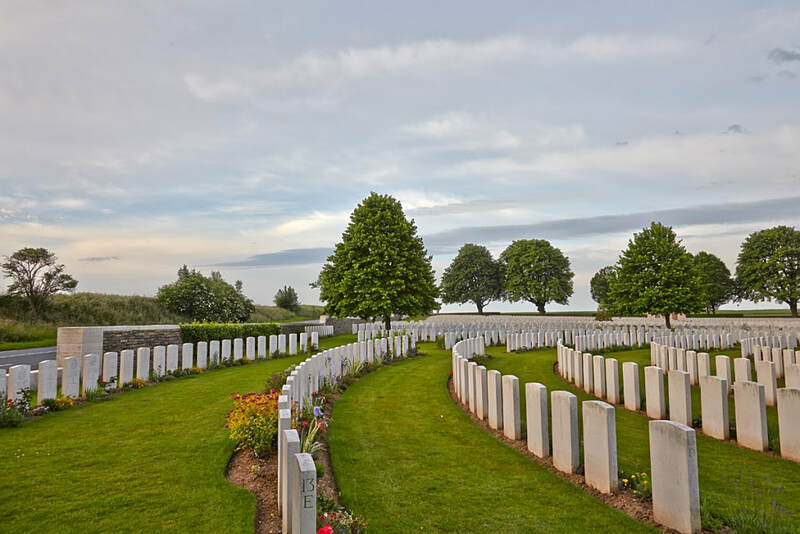 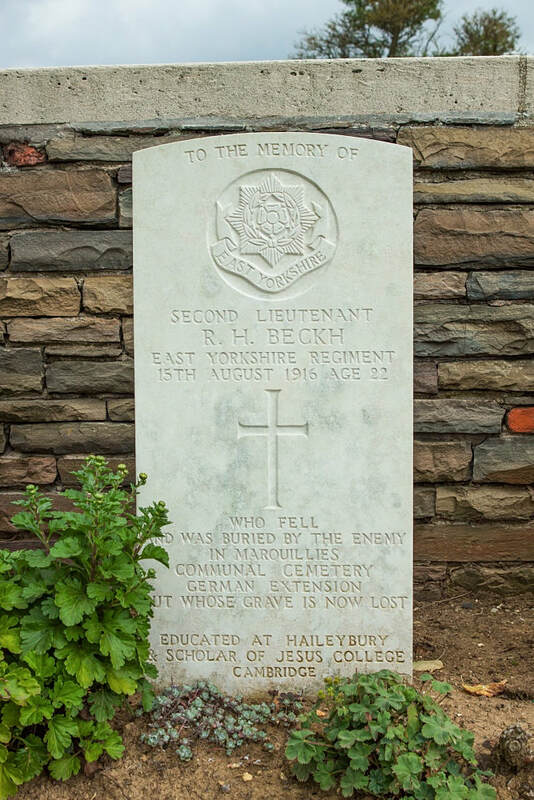 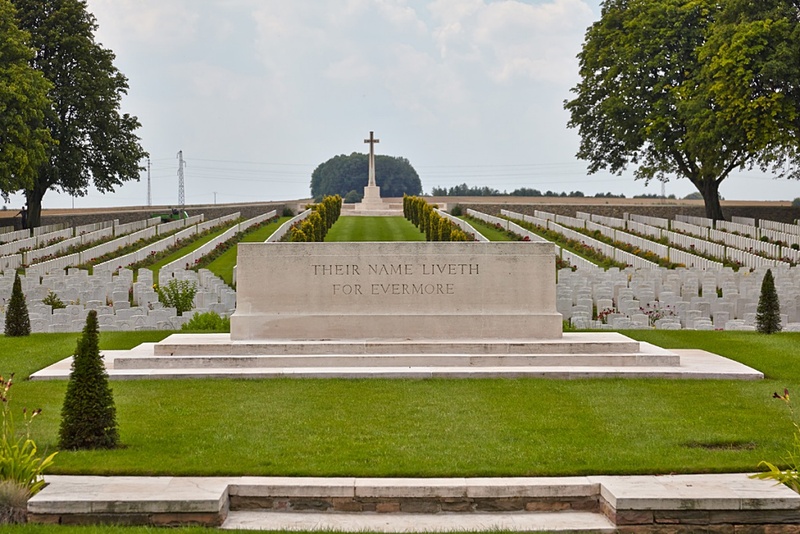 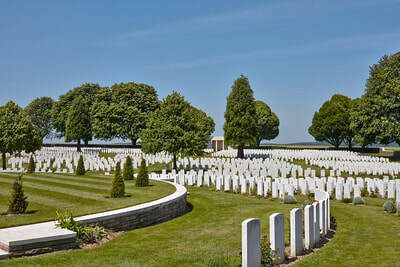 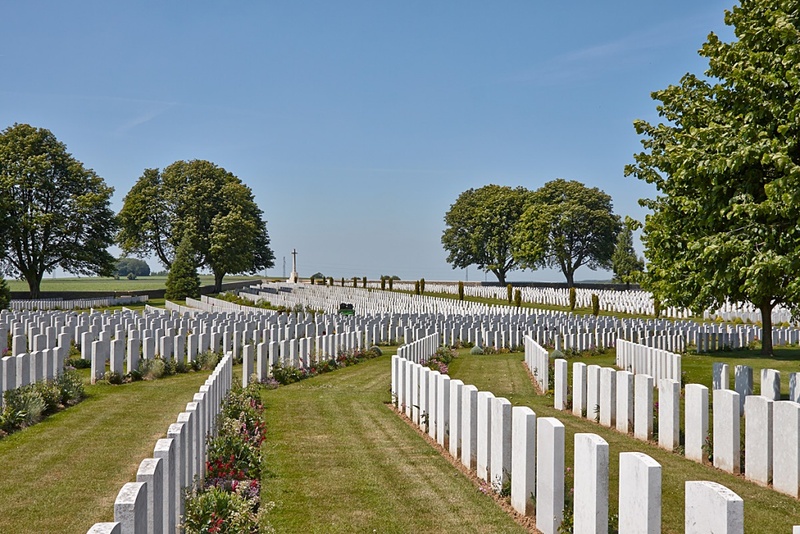 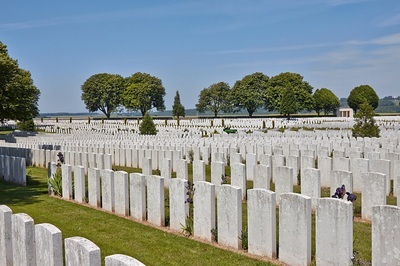 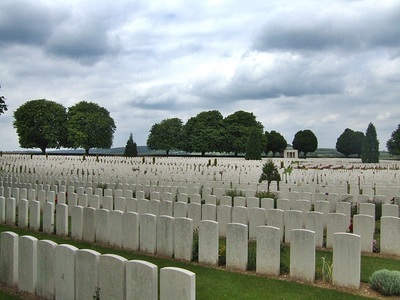 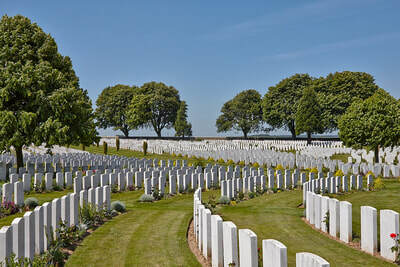 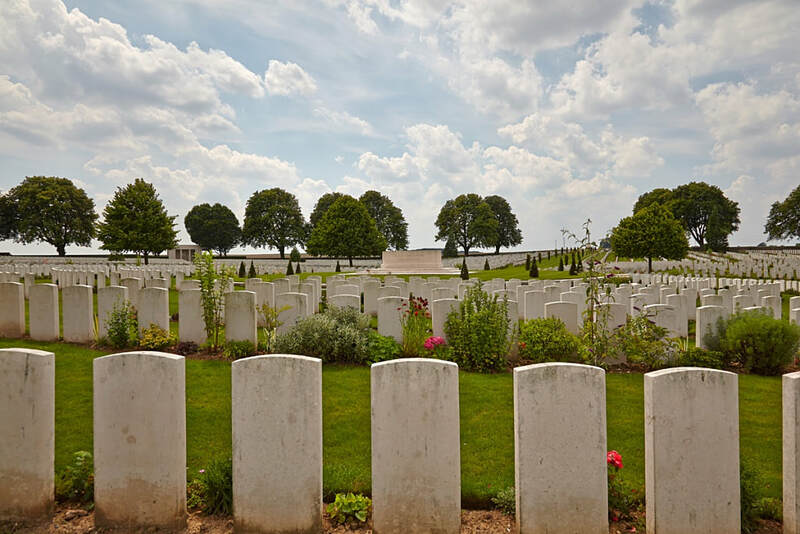 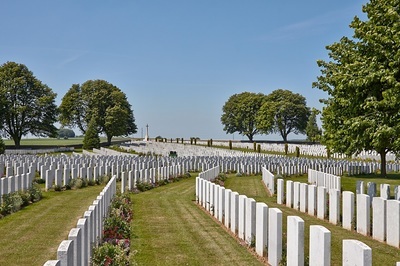 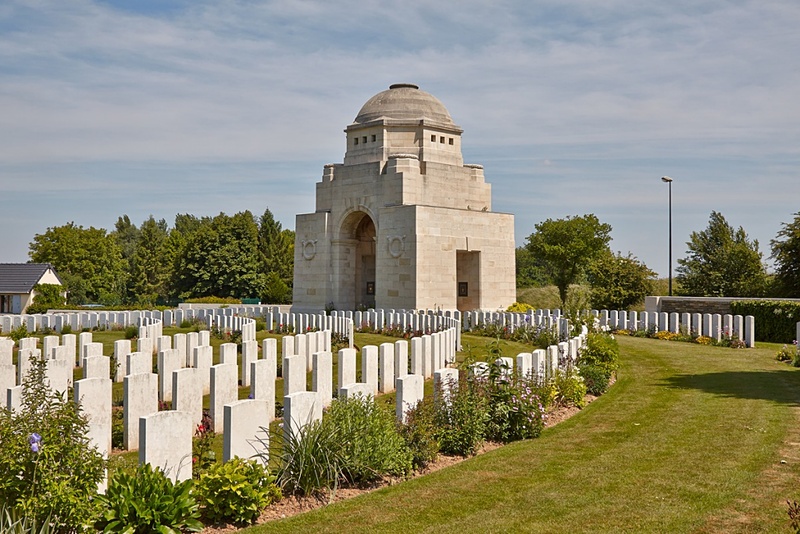 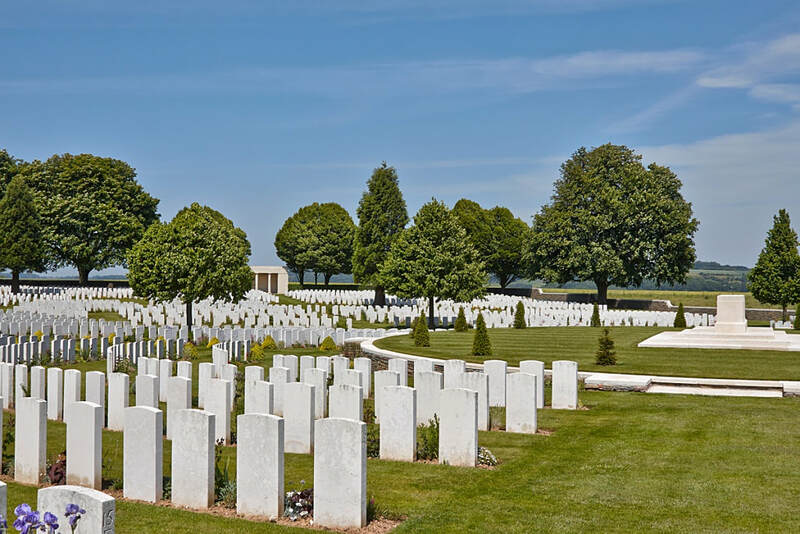 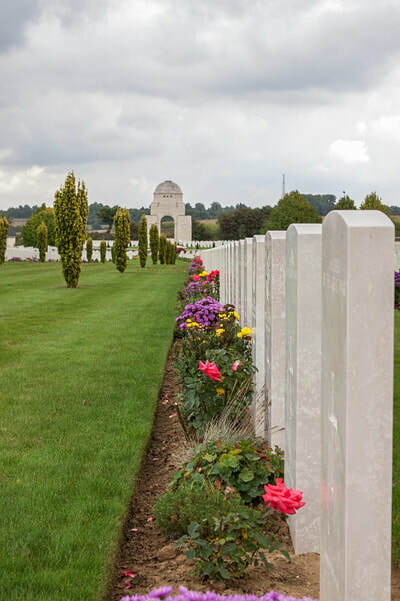 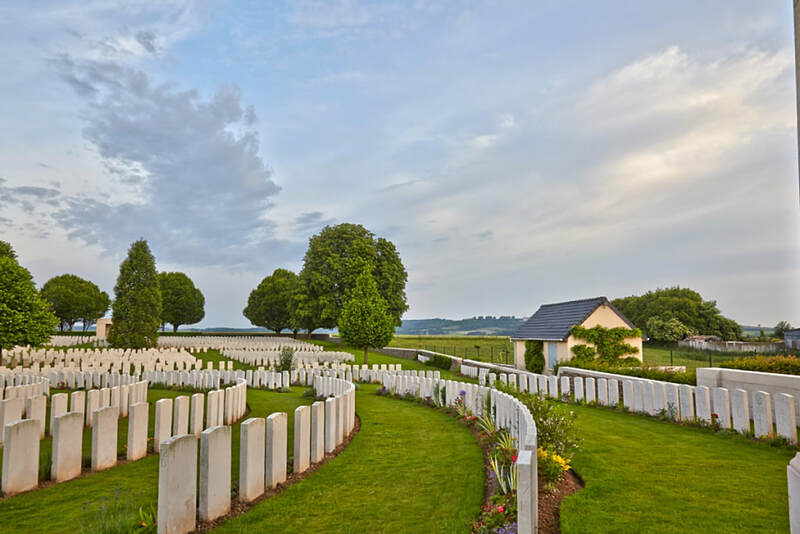 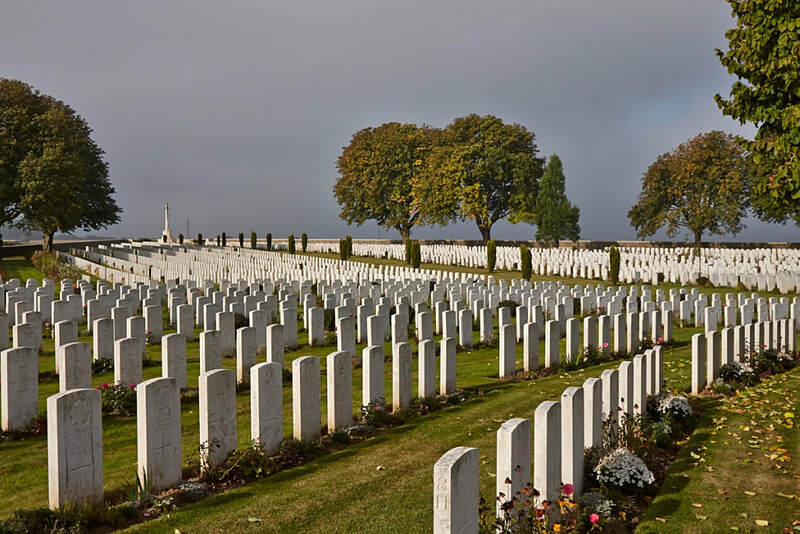 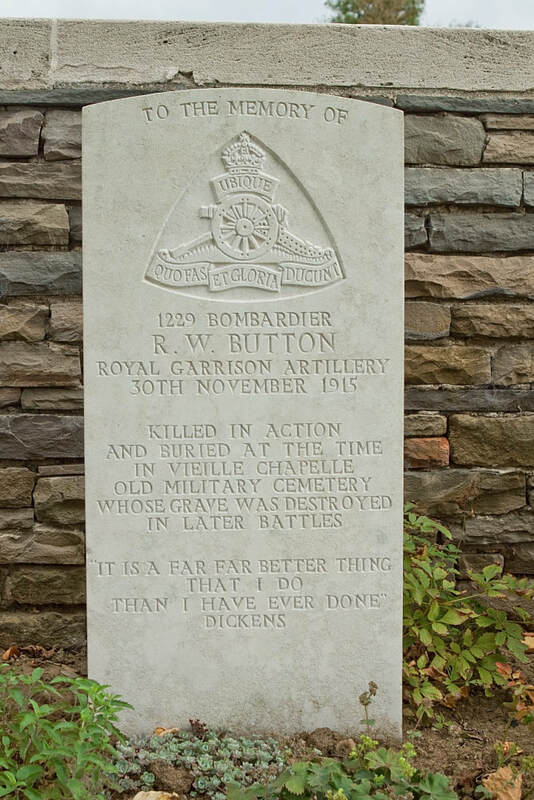 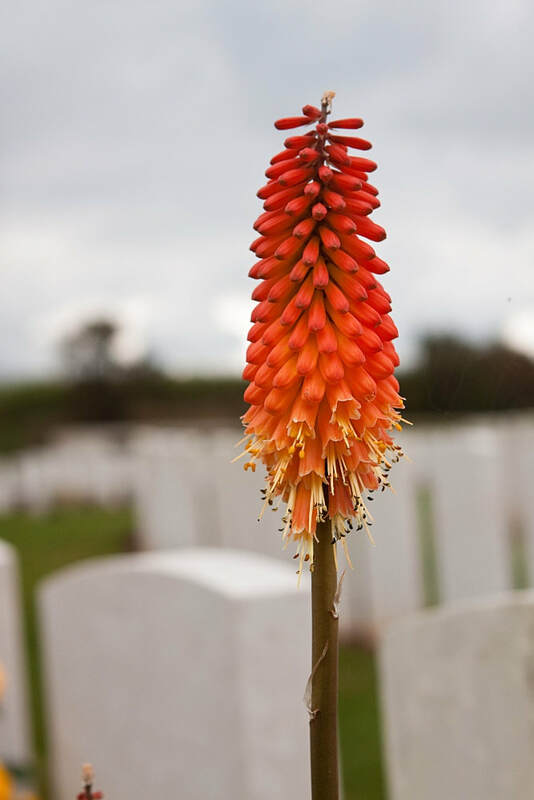 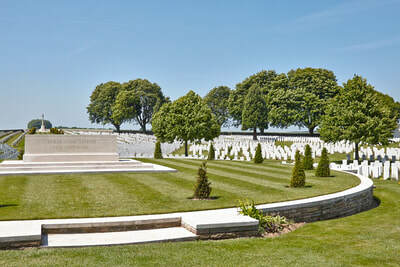 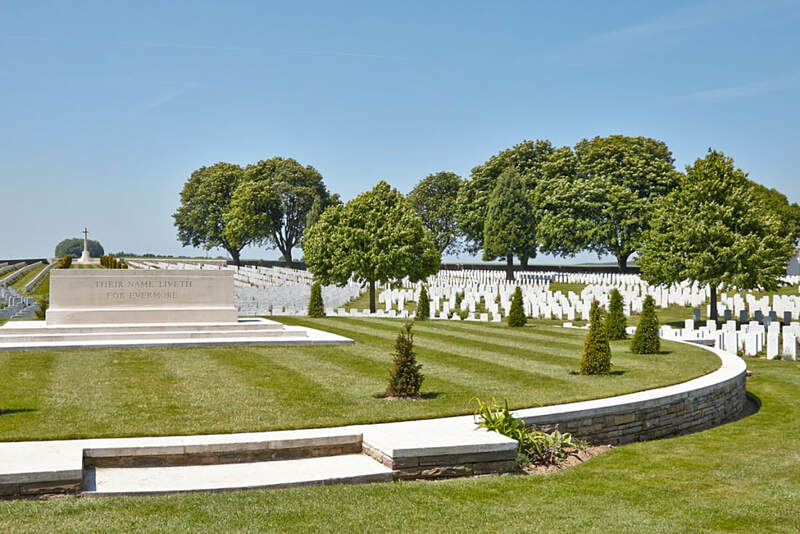 Today the cemetery contains over 7,650 burials of the First World War, over half of which remain unidentified. 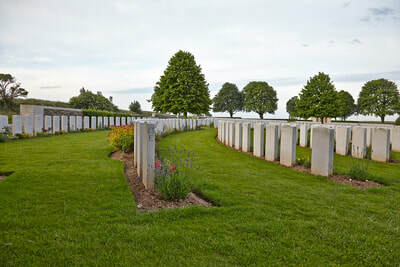 In May 2000 the remains of an unknown Canadian soldier were taken from this cemetery and buried in a special tomb at the foot of the National War Memorial in Ottawa, Canada. 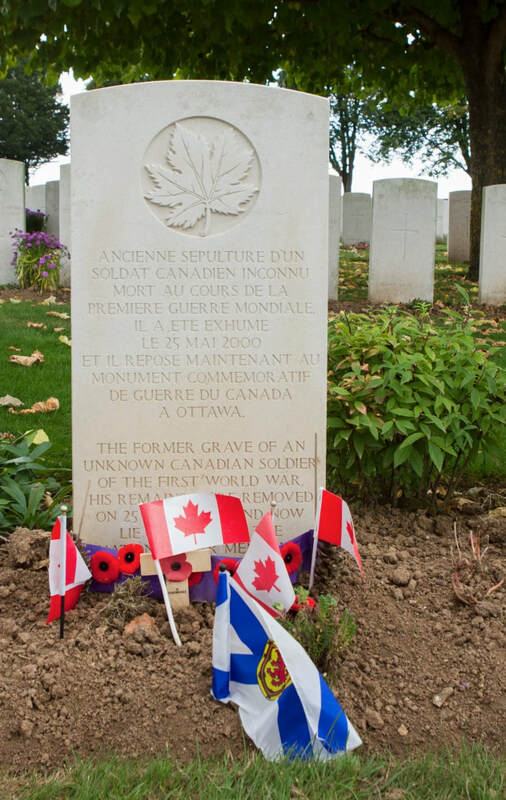 A focal point for remembrance, he represents more than 116,000 Canadians who lost their lives during the First World War. 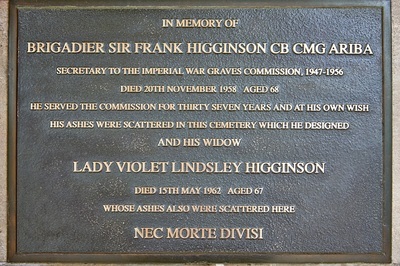 A headstone in plot 8, Row E, Grave 7 marks his original grave. 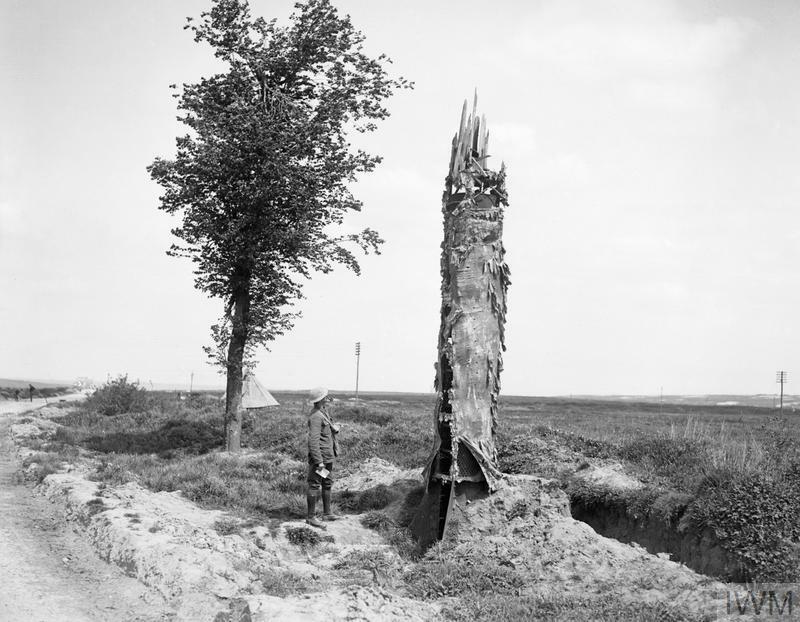 German forces seized the village of Souchez and the surrounding countryside as they advanced through Northern France in 1914. German artillery units were able to control this sector of the front from two ridges which flanked the village – Vimy Ridge to the east, and Notre Dame de Lorette to the west. 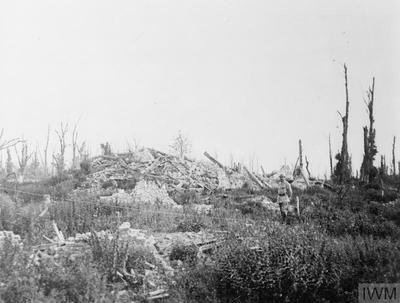 After 12 months of bitter fighting, the French forces captured the high ground at Lorette in the autumn of 1915. 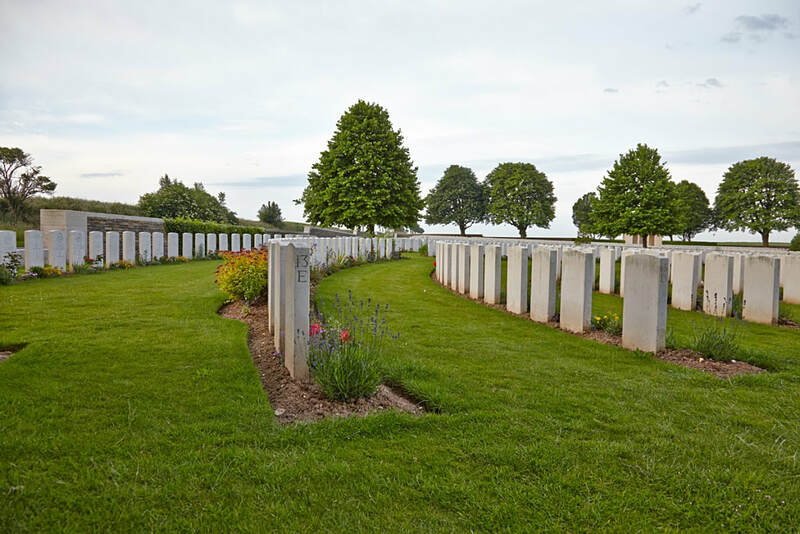 When the French handed this part of the line to the Commonwealth forces in March 1916, Vimy Ridge was still in German hands. 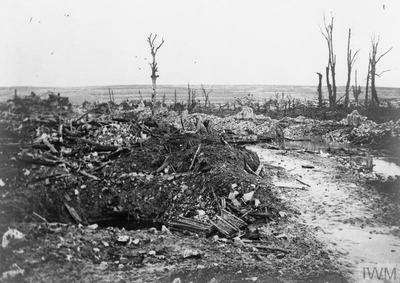 Vimy Ridge was the key to the German defensive system in this sector. 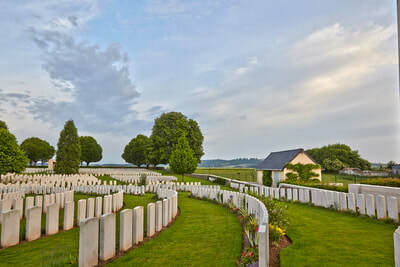 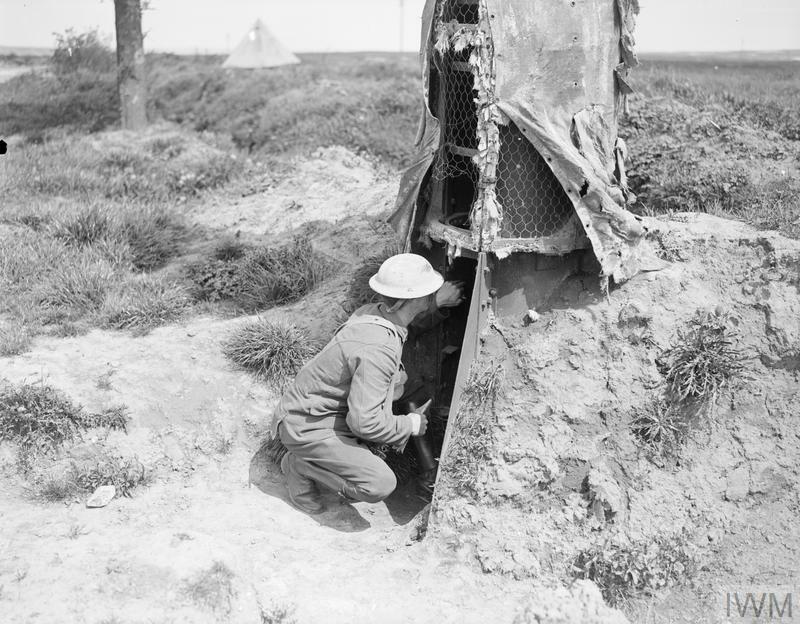 It protected an area of occupied France in which coal mines and factories were in full production for the German war effort and the fortified vantage points on the ridge dominated the surrounding battlefields. 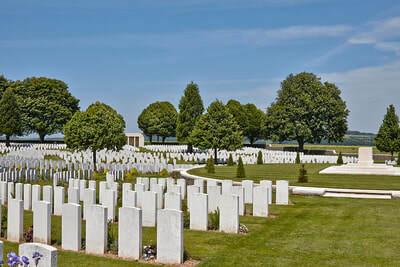 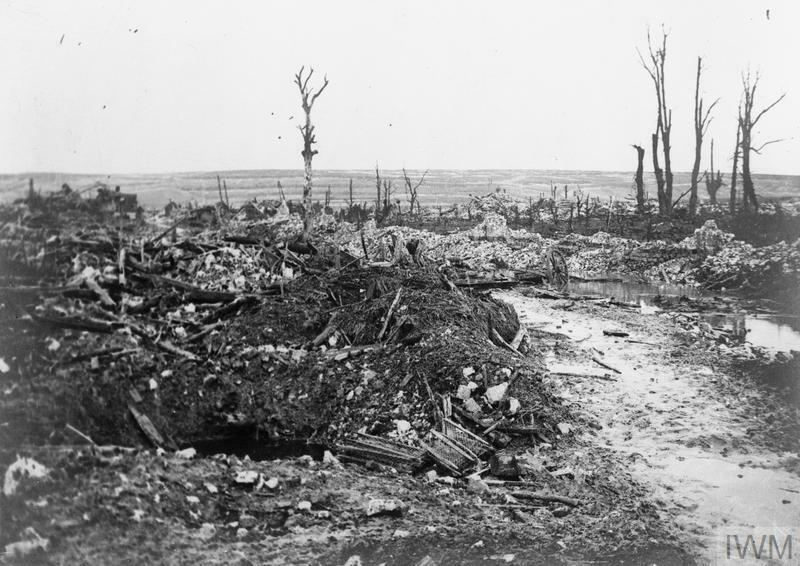 The Battle of Vimy Ridge formed part of the opening phase of the British-led Battle of Arras which began on 9 April 1917. 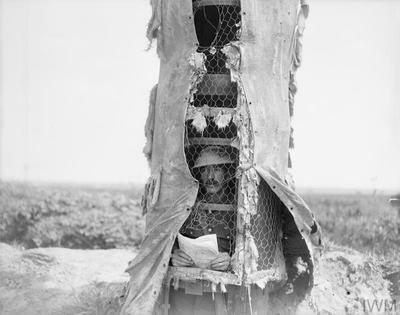 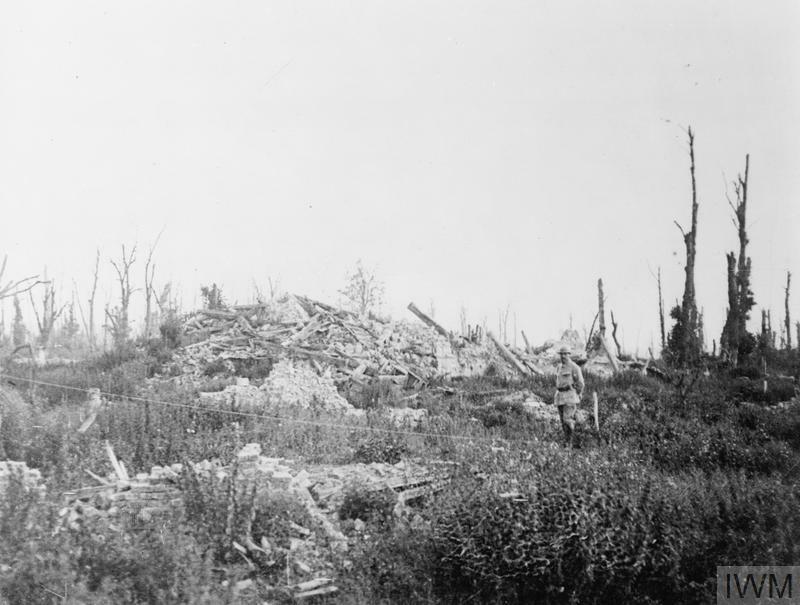 The Canadian forces managed to capture most of the German positions on the ridge on the first day of the attack and by 12 April they had occupied the village of Thélus and pushed the Germans back to the Oppy-Méricourt line. 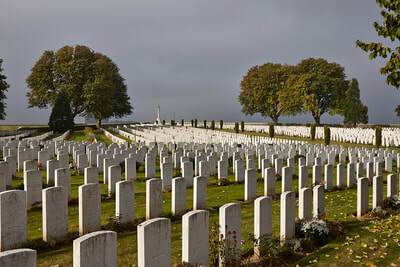 By taking the ridge the Canadians achieved a major tactical success, but in just four days of fighting they suffered over 10,000 casualties, 3,500 of whom were killed. 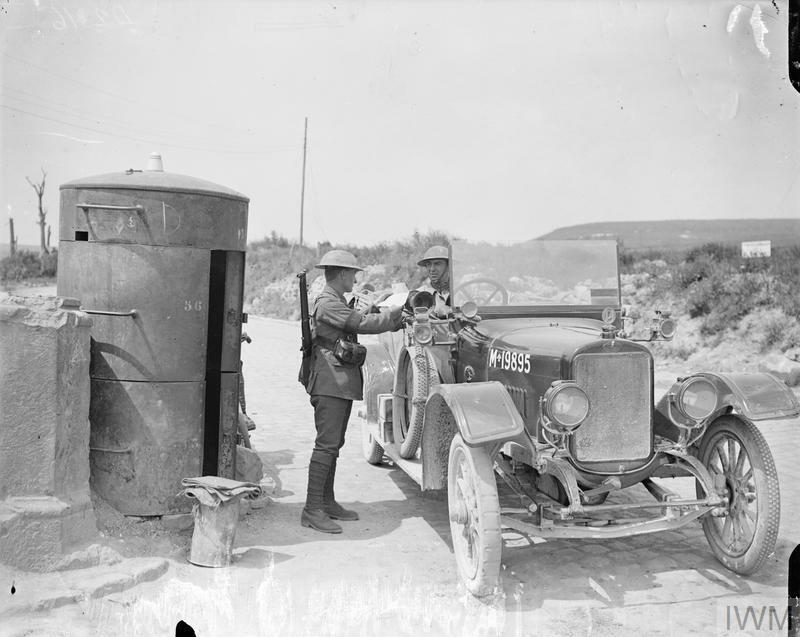 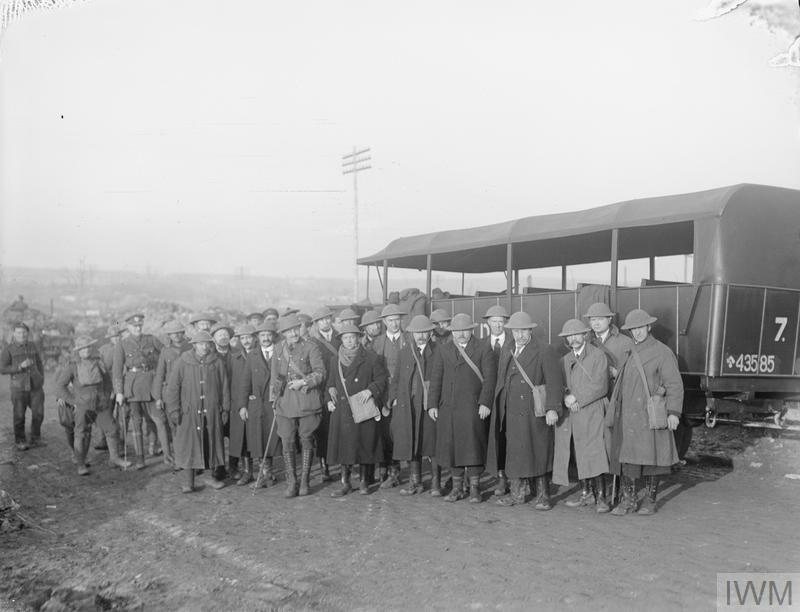 The battle was the first action in which all four divisions of the Canadian Corps fought together and had a major impact on Canadian national identity. 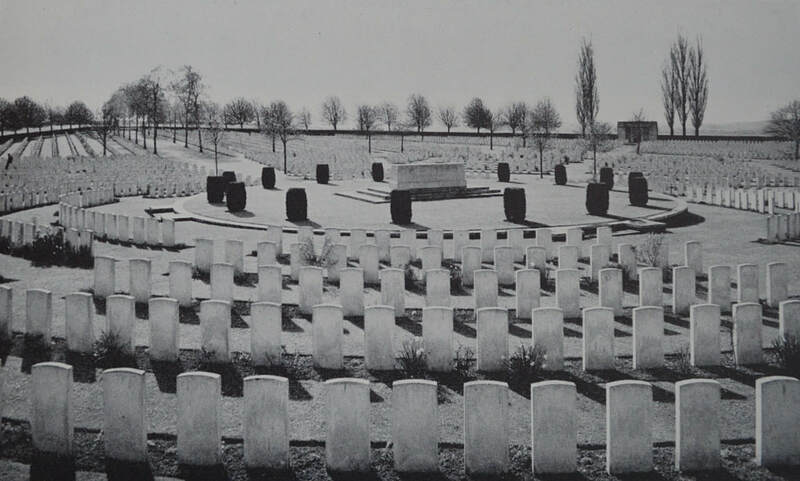 5337 Private Leonard Brace, 5th Bn. 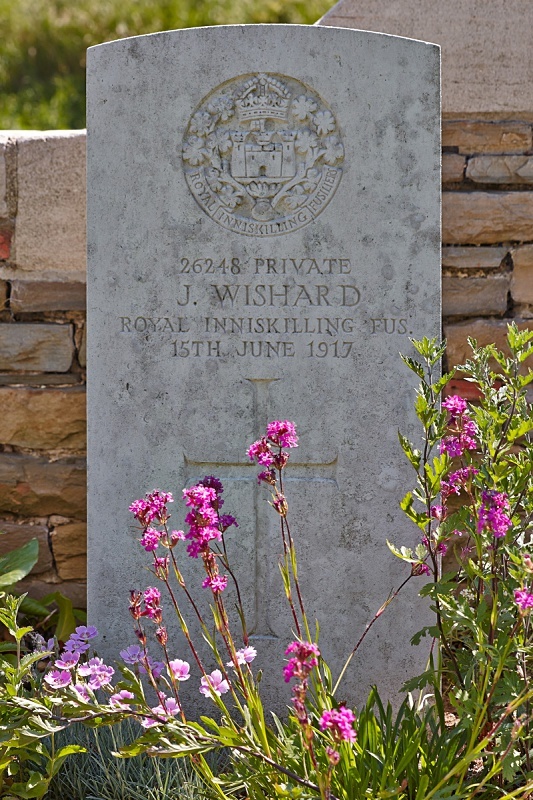 King's Shropshire Light Infantry, 11th June 1916, aged 30. 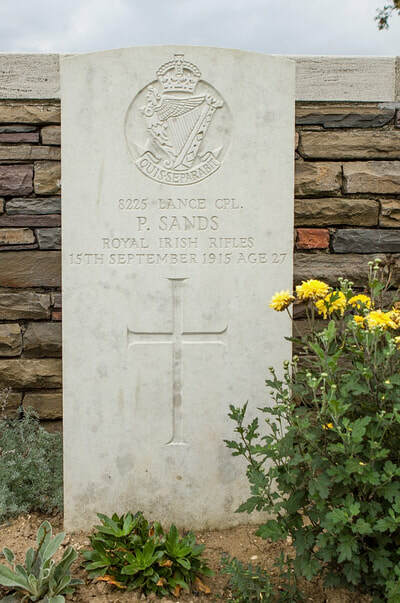 8225 Lance Corporal Peter Sands, 1st Bn. Royal Irish Rifles, executed for desertion 15th September 1915, aged 27. 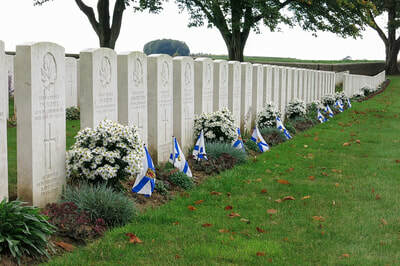 Special memorial - Fleurbaix Chyd. 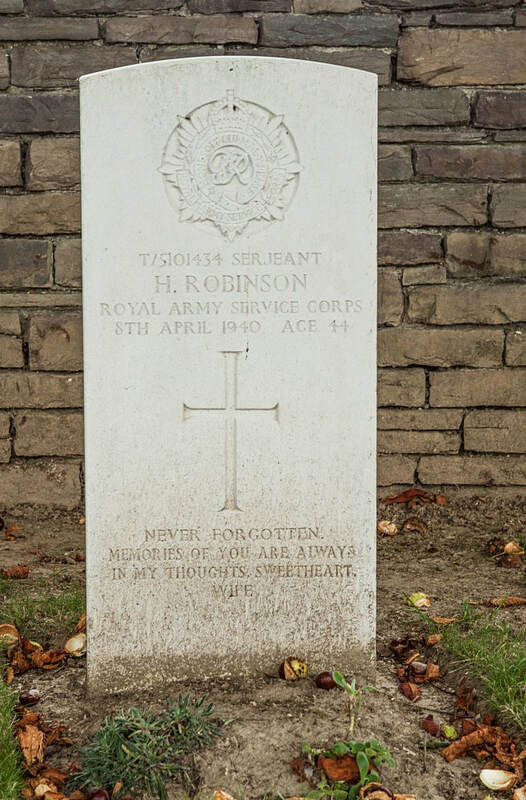 41, originally buried in Fleurbaix Churchyard, his grave is now lost. 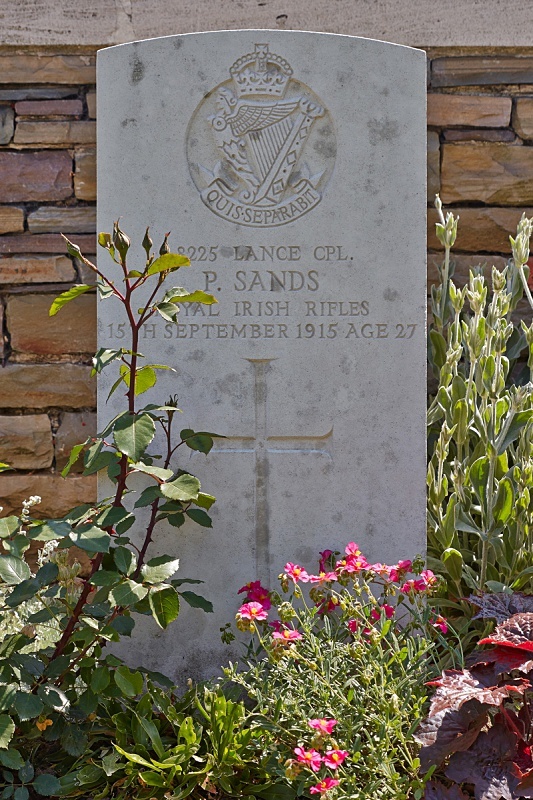 Husband of Elizabeth Sands, of 74, Abyssinia St., Belfast. 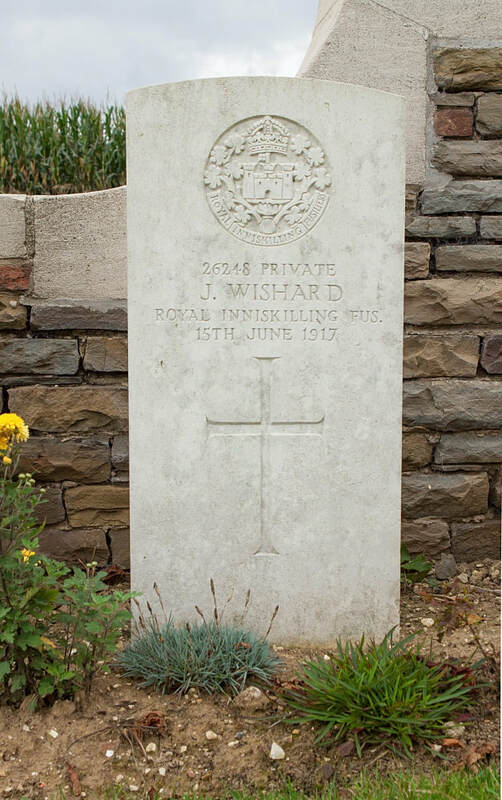 26248 Private J. Wishard, 7th Bn. 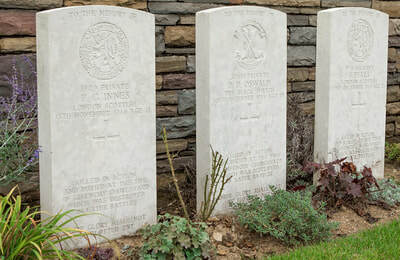 Royal Inniskilling Fusiliers, executed for desertion 15th June 1917. 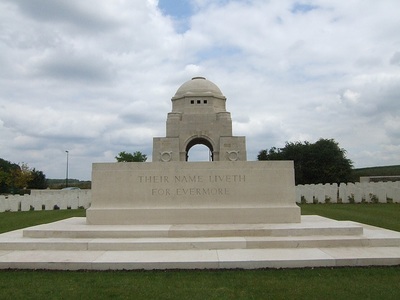 Special memorial - Merris Chyd. 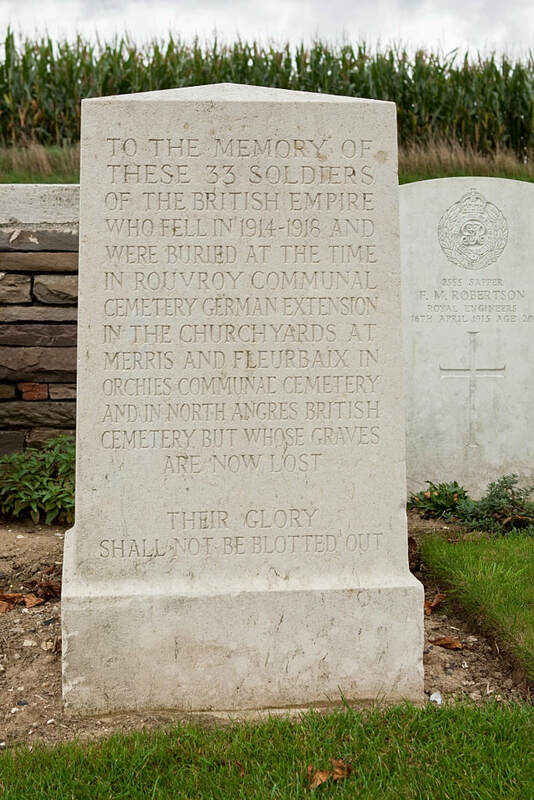 51, originally buried in Merris Churchyard, his grave is now lost.